Each year our Awards Committee makes recommendations to our President to recognize members for their distinguished service to the Society. The recipients are honored at our Annual General Meeting and at our Annual Founders Dinner held in July near Grandfather Mountain in North Carolina. Awards are presented only when merited. 1. 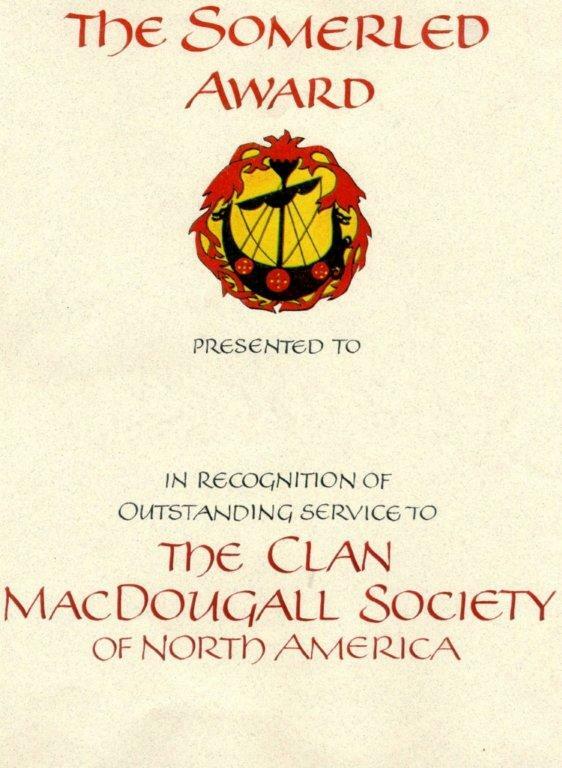 Our Somerled Award, our Society’s highest honor, was established by our Past President Walter Macdougall. 2. 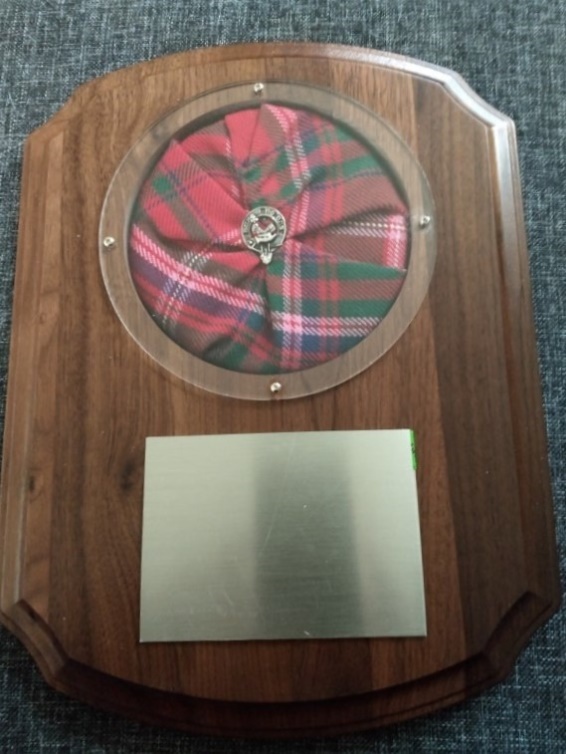 Our Appreciation Award for overall service, dedication, and contribution to the Society was established by our Past President Mel MacDougall.